We trialed this variety in summer 2018 and found the marketing about them was true. 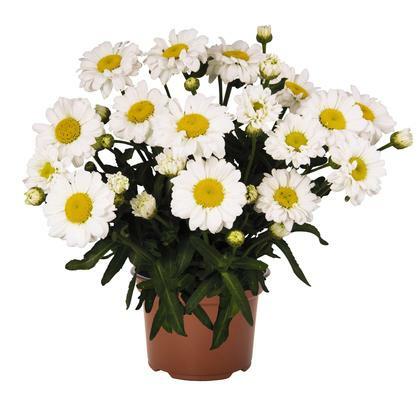 Sturdy stems hold white daisies that bloom and bloom again. The compact form allows for use in containers or the garden. We're sure to add more varieties from this series in years to come.